600 Thread Count 100% Cotton Pillow Cases - Includes one pair. - Body Pillowcase Includes ONE case. 600 Thread Count 100% Cotton Sheet Set includes 1 top sheet, 1 fitted bottom sheet, 1 pillowcase or 2 pillowcases with full size and larger. Long wear and durable. Wrinkle and shrink resistant even in hot water. 600 Thread Count 100% Cotton fitted Bottom Sheet with 1/2" elastic all the way around, fully enclosed in the hem. Long wear and durable. Wrinkle and shrink resistant even in hot water. 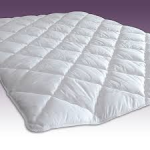 600 Thread Count Reversible Comforter with same fabric on both sides. Long wear and durable. Wrinkle and shrink resistant even in hot water. Ships in 2-3 weeks. 600 Thread Count 100% Cotton Top Sheet cut generously, fully hemmed (no crimped edges), with a plain 3" hem at the head of the bed. Long wear and durable. Wrinkle and shrink resistant even in hot water. 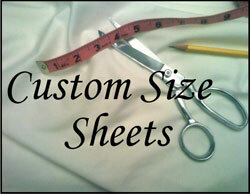 Custom Duvet Cover - 625tc - Finished Size 131" X 98"